The force has today thrown its weight behind a National Police Chiefs Council (NPCC) drink drive campaign, reminding people that drink or drug driving will not be tolerated at any time of the year. The crackdown officially launches on December 1 and runs through the whole month until January 1. And drivers are being warned that there is a breathalyser kit in every police vehicle across West Yorkshire. 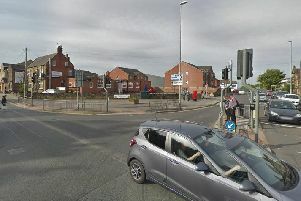 Chief Inspector Chris Corkindale, of West Yorkshire’s Roads Policing Unit, said: "Driving whilst under the influence of drink or drugs will not be tolerated on West Yorkshire’s roads. 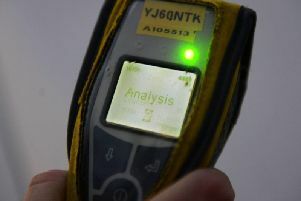 "On average over the festive period we stop and arrest 10 people a day on suspicion of drink or drug driving offences. "Many of the people we stop are from all backgrounds, ethnicity and genders. Many of them have families and professional careers and the simple fact is, if you get caught drink driving this could have severe consequences on your job and your family. "A conviction for driving while under the influence of drink and drugs will lead to a criminal record, a driving ban and a fine up to £5,000." As part of the campaign, West Yorkshire Police’s Roads Policing Unit (@WYP_RPU) will be tweeting the number of arrests on a daily basis for people arrested for drink or drug driving. Assistant Chief Constable Tim Kingsman said the force's ‘Not The Usual Suspects’ would also aim to challenge public perception about drink drivers and highlight the real risk everyone takes after drink or drug driving when they get behind the wheel. "Driving whilst not being fit has a number of dangers and can lead to severe consequences, not only for yourself but others," he said. "Every year we deal with a number of fatal or very serious incidents on our roads." More than 800 people were seriously hurt and 43 people died in road traffic collisions during 2017. Mr Kingsman said: "A number of these have been because of the influence of drink and drugs. This has led to the deaths of innocent drivers, passengers and pedestrians leaving the awful task for many officers having to go and tell a family that their loved one isn’t coming home." Read more: What's the drink-driving limit and how harsh are the punishments? West Yorkshire’s Police and Crime Commissioner, Mark Burns-Williamson, said improving remained a key issue for the public and a priority in his recently refreshed Police and Crime Plan, which sets out a mixture of education, enforcement and prevention activities. Mr Burns-Williamson said: “This national campaign aims to raise awareness and help reduce these issues, whilst reminding potential drink or drug drivers that West Yorkshire Police will be on the lookout.